Could the Toronto Maple Leafs do a sign and trade with William Nylander? 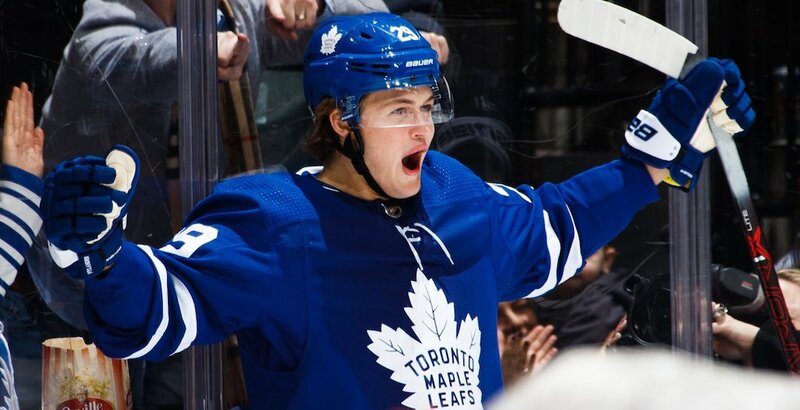 Will the Toronto Maple Leafs sign or trade William Nylander? Toronto Sun: Maybe the headline should read, with the Leafs sign and trade William Nylander? With the Dec. 1 deadline to sign a deal looming, when Nylander would be ineligible for NHL play this season. Lance Hornby reports there has been intensifying concern on the part of Nylander, his father/adviser Michael Nylander and his player agent Lewis Gross, that as the Leafs kept up a hot start (6-1) while scoring lots of goals, it will cost the winger some bargaining leverage as November approaches. GM Kyle Dubas has insisted he’s not shopping Nylander. Although a trade would be one way to get out of this fix, it’s not believed to be Nylander’s first choice —he still wants to be a big part of the Leafs’ boy band. The Detroit News: The Detroit Red Wings could look to trade some players at the 2019 NHL Trade Deadline. Goaltender Jimmy Howard and forward Gustav Nyquist are prospective unrestricted free agents and could be valuable rentals for playoff teams. Defenseman Trevor Daley, with next year left on his contract, could be a valuable trade target once his upper-body injury heals. With Christoffer Ehn’s emergence, Luke Glendening also would seemingly be on the market. Thomas Vanek should attract his usual middle-round draft pick at the deadline. Use this deadline to clear as much of the roster as possible, and keep accumulating draft picks, and clearing spots for young players. It will help the future.